We are a leading modular furniture manufacturer in central India with an ISO 9001-2008, ISO 14001-2004 and ISO 18001 certified company. We are also member of BIFMA International. 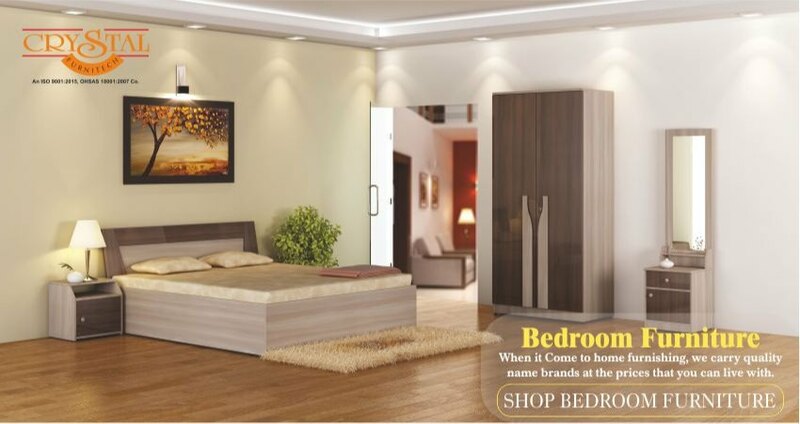 We are into manufacturing of Home furniture, Supermarket Display Racks, Office furniture, Office partitions, Workstation, Full height Partitions, Half Height Partitions, Customised Office furniture, Dining Setes, Sofa sets, Dining Sets, Modular Kitchen, Institutional furniture and Laboratory Furniture. We have pan India Presence with distributors and dealers thus capable of providing our services to every part of India. We have wide range of office furniture and we are market leaders in delivering high quality range of Director Tables to our highly valued clients across corporate. To accomplish high level of customer trust, we are keenly betrothed in offering a wide range of Office Tables. Create a workplace with this lightweight office table from Crystal Furniture Industries. 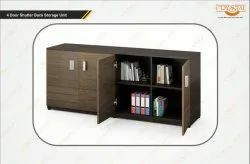 The storage has been designed on one side for saving information and important records. 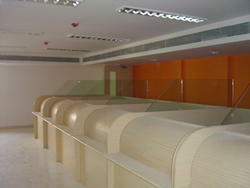 Supported by trained personnel, we are readily instrumental in presenting a comprehensive spectrum of Reception Table. Create an office space at home with this compact white coloured office desk from Crystal Furnitech. Made by the best possible material, this office tables are perfect one for the look of your office and can be used to enhance the work efficiency. We at Crystal Furniture Industries offer number of designs to chose from or even you can get customized office furniture as per your specifications. This Office Table from Crystal Furniture Industries is made of high quality and ultra-durable quality and is suitable for the corporate offices of any size. Get heavy discounts on bulk purchases. This office table from Crystal Furniture Industires is a perfect one for every office and helps in enhancing the look of it in every possible manner. Get heavy discounts on bulk purchases. Reckoned amid one of the credible market names, we are willingly betrothed in offering to our patrons Q Line Pedestal Office Furniture. Featuring rectangular planked base with a flat top surface, the coffee table exudes timeless appeal and would transition effortlessly into classic decor settings. 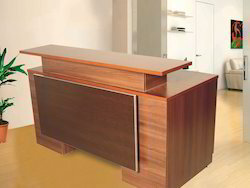 Having a positive high quality management system, we are involved in presenting a comprehensive compilation of Reception Table Quebec from market leaders in office furniture, Crystal Furniture Industries. We are a very well renowned voice of the market for delivering a high quality range of Director Table to our highly valued clients. We are an ISO 18001 (OHSAS), 14001, and 9001, Certifed company. We also menmer of BIFMA. 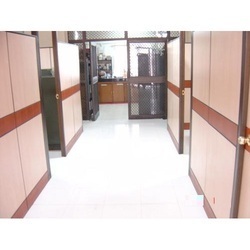 We manufacture all kind of Furniture Including Office Furniture, Conference Table, Workstations, Full Height Partitions, Half height partitions, Sofa Sets, Dining Sets, Bedroom Furniture, Institutional Furniture, bank Furniture, Conference tables, Laboratory furniture and all kind of modular kitchen. Crystal Furniture Industries manufacture all kind of laboratory Furnture for Schools, Colleges, Corporate sector, etc as per their custom requirements. Quality and durability is gauranteed with Crystal Furniture products. 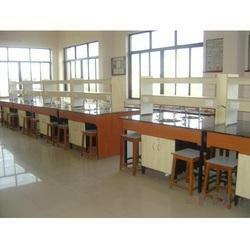 Laboratory Tables ideal for educational and research institutions. 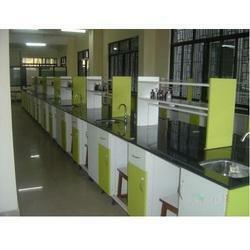 Crystal Furniture Industries supplies institutional furniture of best quality in the market. Full height partition with half height glass and half partition ideal for corporate offices and educational Institutions. 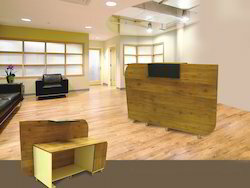 Crystal Furniture Industries is market leader when we talk about office and institutional furniture. We are providing the service for Prefabricated Full Height Partitions, there are the most cost effective products to divide space and provide privacy to your personnel. Using an existing ceiling in an open area office we can redesign the entire area to create a positive environment for your staff. Whether it's deep wood grains or faux we have hundreds of styles and colors to choose from. Leading Manufacturer of Half Height Office Aluminum Partitions, Half Height Partition With Door, Fixed Half Height Aluminum Partition and Aluminum Half Height Partition System. 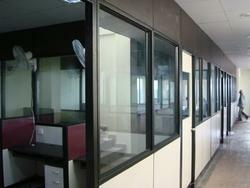 Our services are includes designing,fabrication, installation of full height office aluminum partition systems. We use premium range of products. We cater PAN India. Quantum Cubical Workstation is our new range that is designed to impress. 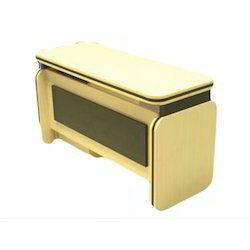 Its rectangular white powder coated legs with combination of sandy Swaline and Blue color adds style to your office and makes your office beautiful at best prizes. 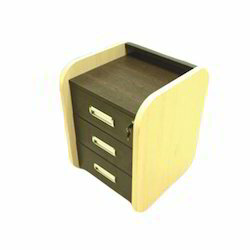 This Workstation is ideal for corporate offices. 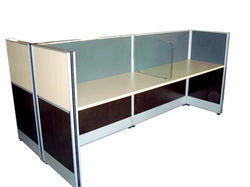 Available in Straight linear workstation, Cubical Workstations with many coloring options. We are a leading modular furniture manufacturer in central India with an ISO 9001-2008, ISO 14001-2004 and ISO 18001 certified company. We are also member of BIFMA International. We are into manufacturing of Supermarket Display Racks, Office furniture, Office partitions, Workstation, Full height Partitions, Half Height Partitions, Customised Office furniture, storage unit etc.